This update creates an even more visual experience, giving images more prominence. Go on, update your Instagram app right now! Although Instagram underwent a transformation about half a year ago, the network has changed its look once again. This update creates an even more visual experience, giving images yet more prominence. This time, the overhaul affected the famous Instagram logo. The platform has updated its recognizable symbol to a much simpler, flat-design look. “Our updated icon stays true to the camera and rainbow,” says the update. Facebook’s child company also made sure that all of its offerings, including Boomerang, Layout and Hyperlapse, matched the color schemes. “The Instagram community has evolved over the past five years from a place to share filtered photos to so much more—a global community of interests sharing more than 80 million photos and videos every day. Our updated look reflects how vibrant and diverse your storytelling has become,” the company’s official blog release states. The Internet was not pleased. The new design evoked all kinds of funny, yet unpleasant, associations. In a sense, the logo became iconic thanks in part to the hipster demographic, which was the first to popularize the app. In fact, it was so iconic, people fail to recall that the retired branding was not the original logo itself, too. The very first camera used in Instagram design looked like a Polaroid and had even more details than the camera we all came to love. Nonetheless, Instagram decided it was time to switch things up and just joined a hoard of flat design logos that includes Uber and Google. The new Boomerang badge looks like a cousin of AirBnB’s logo. “Brands, logos and products develop deep connections and associations with people, so you don’t just want to change them for the sake of novelty. But the Instagram icon and design was beginning to feel, well… not reflective of the community, and we thought we could make it better,” Ian Spalter, Instagram’s head of design, [email protected][email protected]30eb355e3#.pxsgf6jpw" target="_blank">shared in his Medium post. The most recent update is only skin-deep—it did not affect navigation—so it is very likely people will get over it in a few days, like they got over the recent algorithm change. After all, Instagram is a very popular platform these days. For a lot of businesses, this is the way to reach millennial demographics, the generation that currently holds the largest buying power. 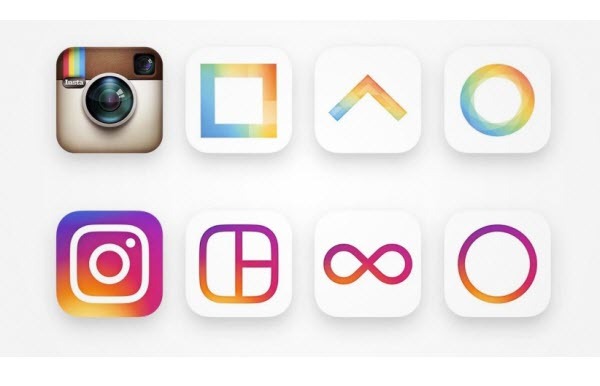 Whether the new logo will hurt or help Instagram is a matter of time. Yet, the new dashboard design looks much more modern and eye-pleasing. The subdued black-and-white palette and the simplified flat buttons put the content in the driver seat. Think of it as a white gallery wall for all your amazing content to be put on. The interface will no longer take away from amazing content that is found on the network every day. Instead, it will only enhance it from now on. Overall, there are people who really love it and really hate it, which is understandable when one of the respected apps changes something. Yet, the updates are only cosmetic and do not affect the meaning and the value behind the network.